leko absolutely loves to sit on ryan's lap whenever ryan is on the couch. usually, leko picks ryan over me. however, over the weekend ryan was out of the house working for a little bit and i sat down on the couch for a few seconds. i was totally shocked and in my glory that leko came over and sat on my lap. 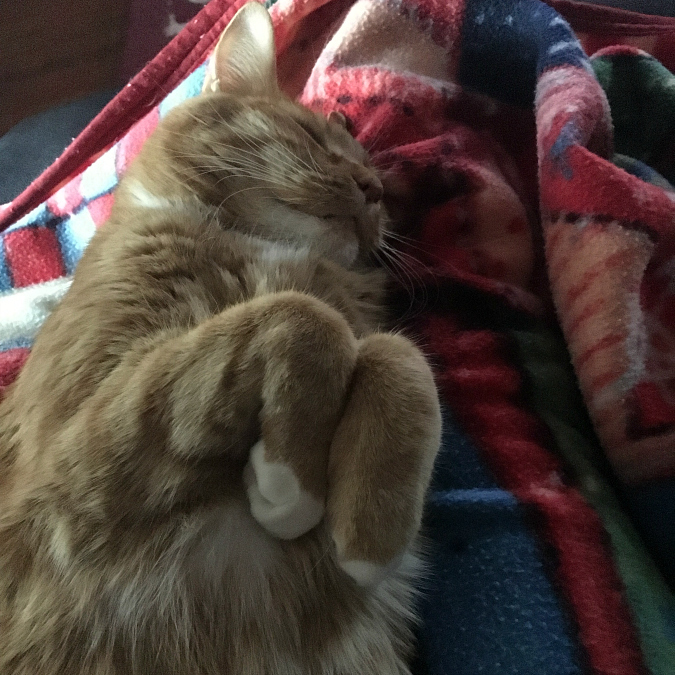 i threw my feet up and we cuddled up with one of his favorite blankets. 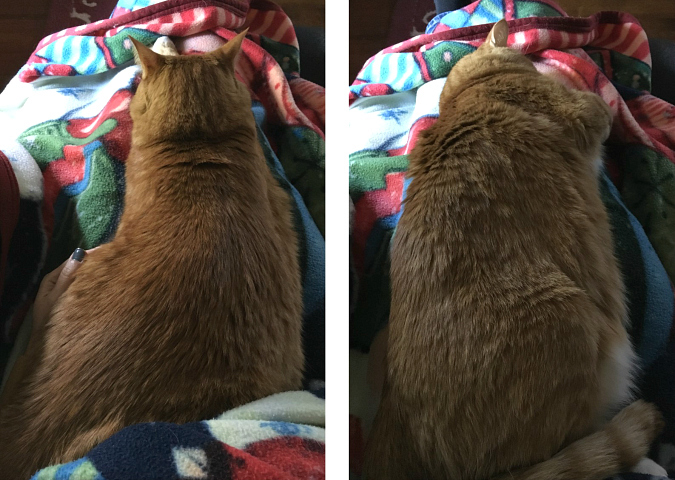 that little guy sure knows how to warm not only my lap but my heart too. he is the sweetest. i just couldn't resist snapping a few pictures on my phone while he was there! Oh No!!! Way too cute! That is what we should be doing with weather like this. I just want to cuddle the soft fur. So cute!!! I love those paws!